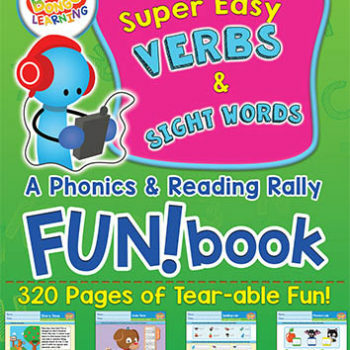 The first workbook of its kind, Super Easy ABCs and 123s Writing Practice and Phonics FUN!book by BINGOBONGO has changed the way English lessons are taught. Choose from 15 different types of worksheets organized by uppercase letters, lowercase letters, numbers, games, and a colorful word dictionary to build a custom curriculum to meet your students’ needs. Have you ever tried using an English textbook in your class and found it too difficult or not organized in a way you want to teach? If so, then Super Easy ABCs and 123s Reading and Phonics FUN!book is for you. This FUN!book is designed to let you choose worksheets based on your students’ needs and your teaching style to build the perfect curriculum. All the worksheets are fun and colorful, plus they keep students engaged as they learn. With these exciting and effective worksheets, students will build vocabulary, learn phonics, and become more confident at reading, writing, and doing math faster than using traditional textbooks. ・Suitable for students ages 3 – 10, but great for older students to review too!